This is a true Alaskan wilderness lodge, located in a remote saltwater cove in Southeast Alaska. Offered are all of the activities you could possibly want from your Alaskan trip. 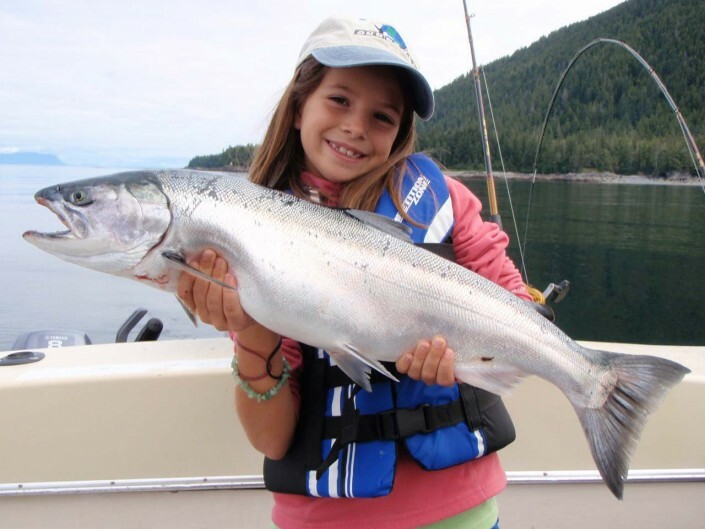 You can fish for salmon and halibut or fresh water cutthroat and dolly varden or set your crab and shrimp pots on the way out to view the whales, bears and eagles. You might choose to spend your day kayaking the many lagoons of the inland sea or hiking and beachcombing the miles of untouched wilderness. All of these activities will be accompanied by a professional, experienced member of the lodge crew who will guide you to the adventure of a lifetime. 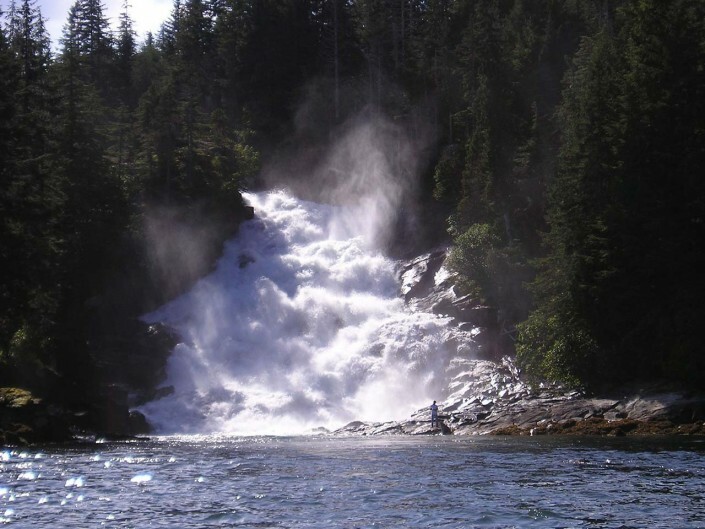 The lodge, overlooking an exquisite view of the bay and magnificent peaks, has its own hot tub and mineral hot springs. The pine-paneled rooms are comfortably furnished. The cuisine is a combination of superb local seafoods, prime cuts of meat, vegetables and herbs from the lodge garden and fresh baked goods. 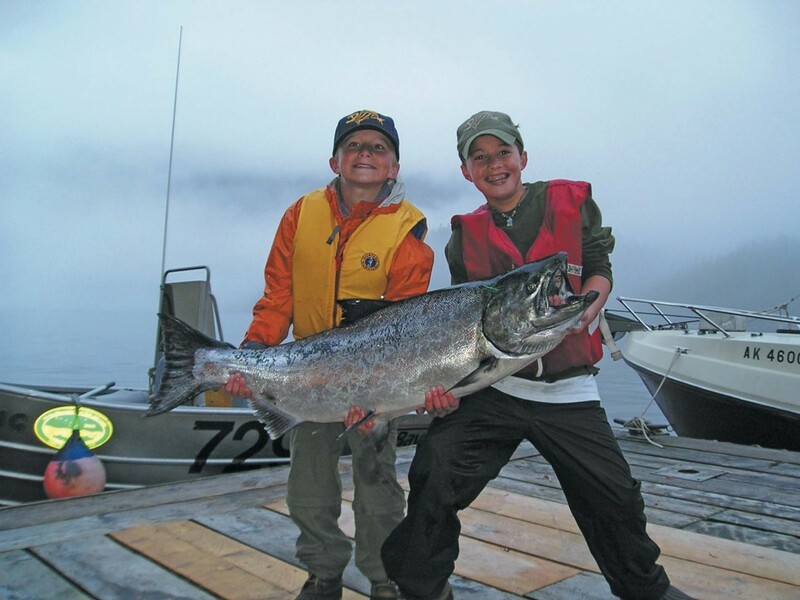 This is an unforgettable Alaskan trip that the whole family can enjoy! 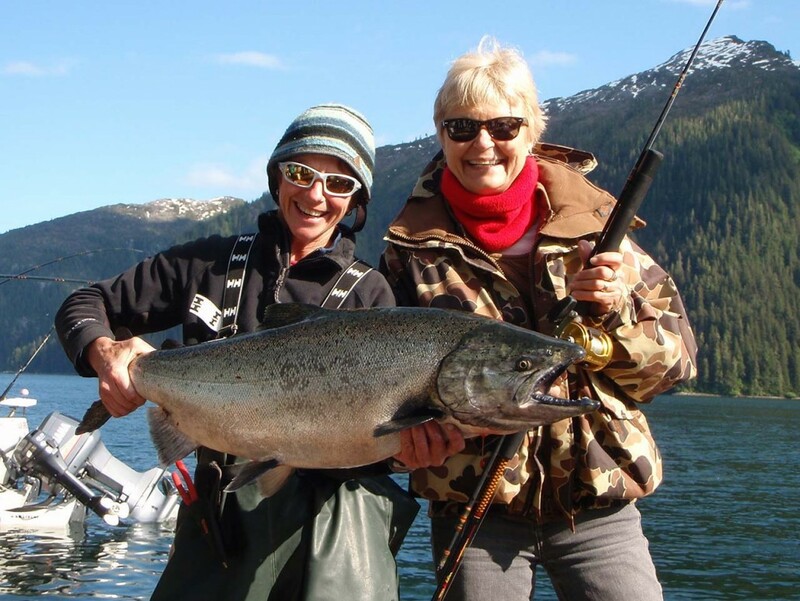 There is a huge variety of things to do and each night after dinner you will choose your activity for the following day; Salmon fishing in saltwater, halibut fishing, river fishing for salmon and dolly varden, hike up to the lake for cutthrout trout. 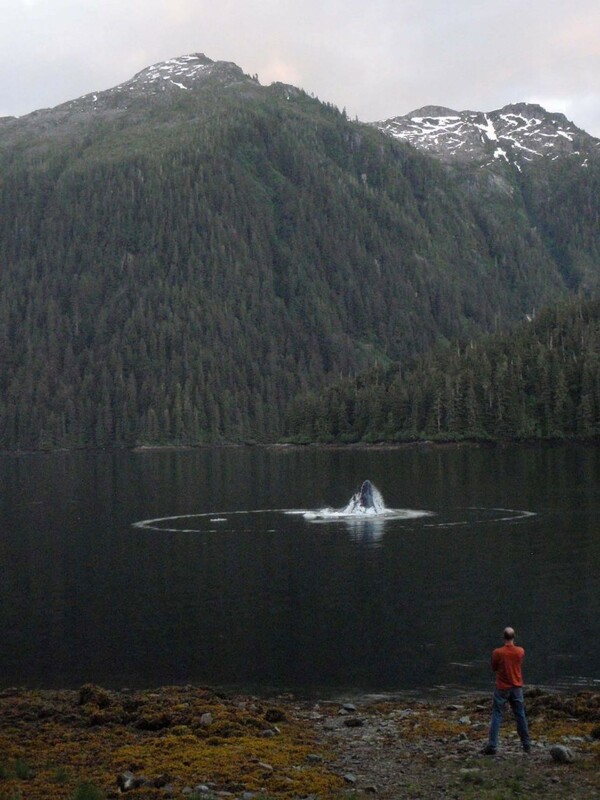 The average day is broken up by hiking up coastal rivers, stopping to pull the shrimp and crab traps and watching Humpback and Orcas as they patrol the area to feed and breach in the bays and straights nearby the lodge. 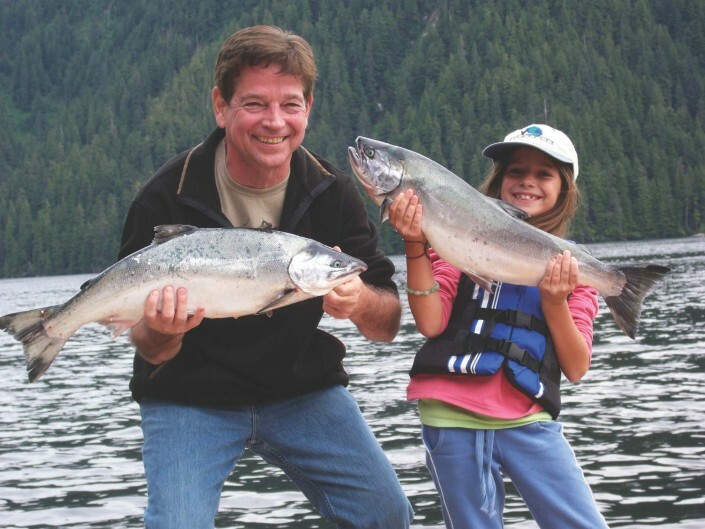 The meals are of the very highest standards with lots of fresh caught seafood; crabs, spot prawns, salmon and halibut. In addition there are lots of non-seafood items served as well. Fresh baked goods are prepared daily by the lodge’s full time chef and crew. 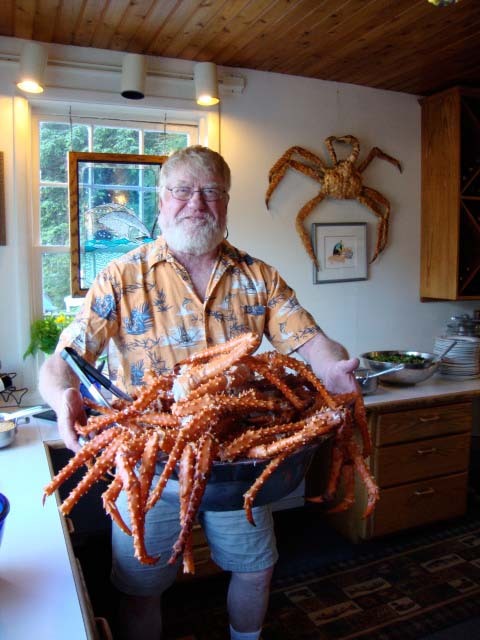 Each guest will come home with one large box of frozen seafood at the end of the trip. 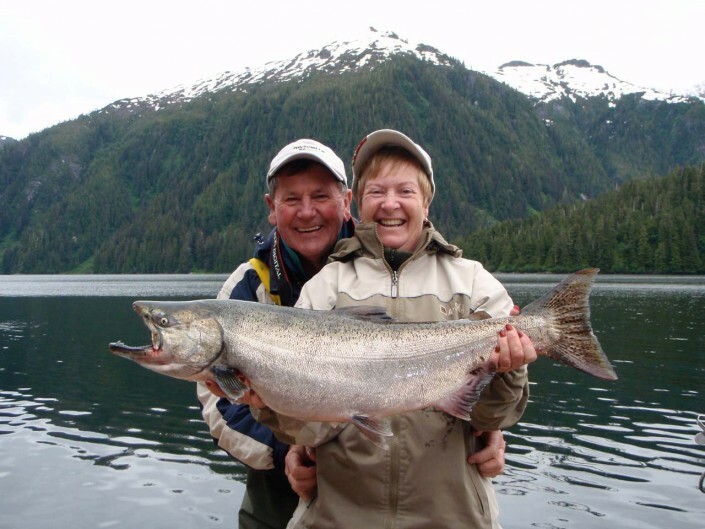 Guests fly to Sitka, Alaska and overnight in a hotel in Sitka. 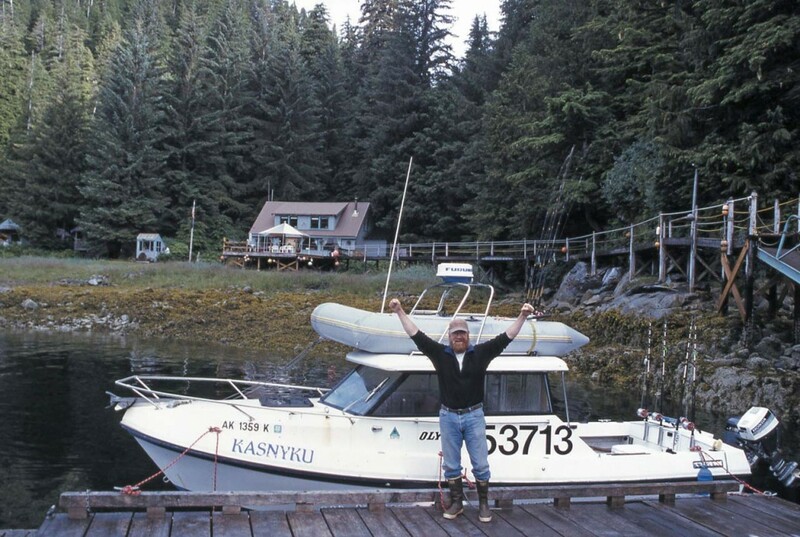 The next morning you will take an early float-plane flight into Baranof Lodge where you will be met by the most friendly and accommodating lodge staff in the business. 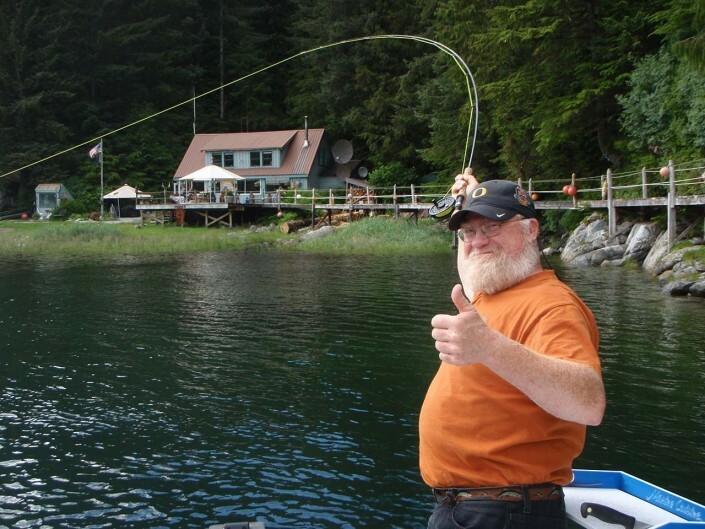 Super location… excellent crew at Baranof Lodge! Nothing beats a day of wading a clear stream, casting for salmon and dolly varden and then is topped off with Chocolate Silk Pie for dessert! Absolutely this was the trip of a lifetime! Words just can’t describe the Baranof experience which I’ll never forget and I can’t wait to go back!